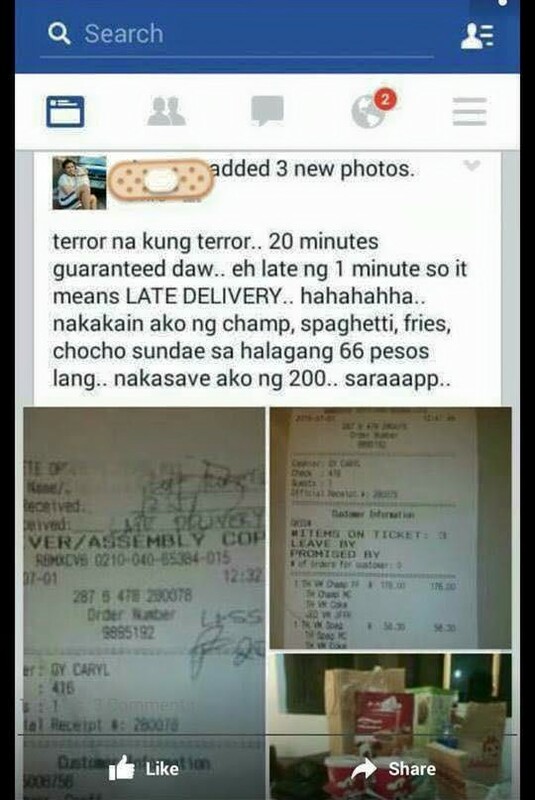 An alleged doctor who reportedly graduated from Ateneo de Manila University has intentionally delayed the delivery of his food orders from Jollibee to get a P200 discount. 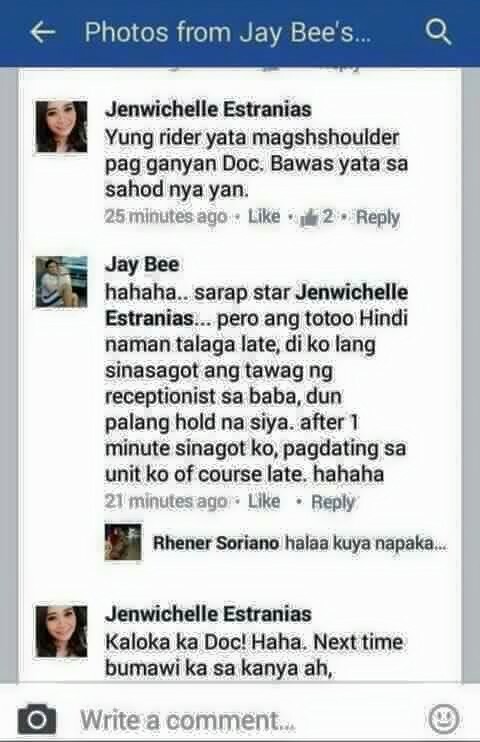 Screenshots of his conversation with a friend have been circulating on social media like wildfire. 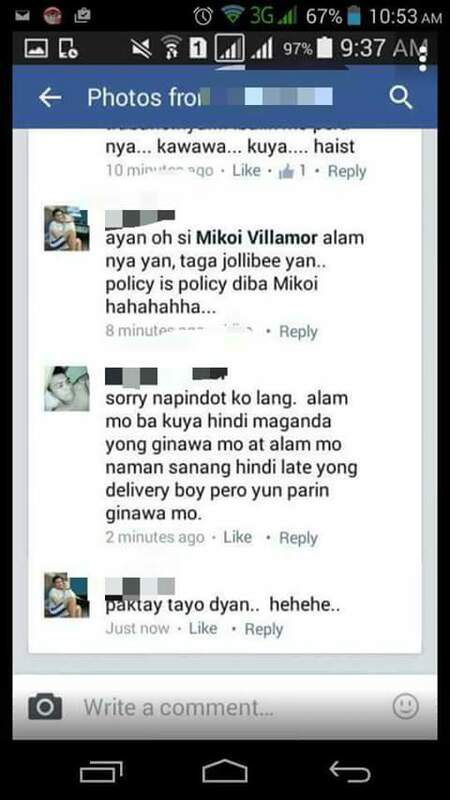 The "doctor," who uses the handle Jay Bee on Facebook, said the guaranteed Jollibee delivery time is 20 minutes. He was able to get the discount after the delivery man got late for 1 minute when he purposely ignored a call from the receptionist informing him of the arrival. 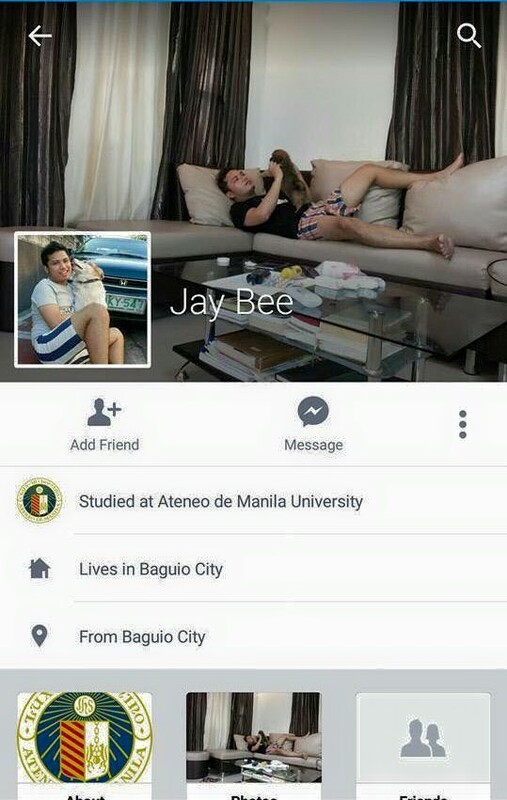 Jay Bee has earned flak and criticisms from netizens, with some saying the amount deducted would be charged to the poor delivery guy.